In the spring of 1812, George IV’s attempted to pique his daughter’s, Princess Charlotte of Wales, interest in William of Orange. The move would have strengthened England’s alliance with the Netherlands. Orange had lived in exile in England and had received his education at Oxford. The Prince Regent was well aware of his daughter’s increasing acts of defiance, but he was not aware of the depth of Princess Charlotte’s indiscretions. Charlotte had her first flirtation of note in 1811 (when she was but 15 years of age) with Charles Hesse, who was reportedly the Duke of York’s illegitimate son. Hesse was a young, handsome Hussar captain. Rumors had it that Hesse, who later joined Princess Caroline in Brunswick as an equerry, might have been the lover of both mother and daughter. Caroline had encouraged the relationship. She had once locked her daughter and Hesse in a bedchamber and had told them to amuse themselves. With Caroline’s encouragement, Charlotte had corresponded with Hesse until Charlotte’s friend and confidant, Mercer Elphinstone, advised against continuing the relationship. When the Regent first encouraged his daughter to accept William of Orange, Charlotte was determined to oppose the union. However, a marriage would free her from her father’s control, as well as to provide her with her own household and financial independence. Therefore, in December 1813, Princess Charlotte agreed to the marriage. Yet, when she discovered that Orange would expect her to live part of the year in Holland, Charlotte had second thoughts. The Whig politician Lord Grey had advised Charlotte against leaving England. He had insinuated that if Charlotte resided in Holland for even part of the year that Princess Caroline would follow suit. It was common knowledge that Caroline intended to take up residence away from her estranged husband. If Caroline left Prinny, he could claim desertion and file for a divorce. If the Regent then remarried and produced a son out of his next joining, Charlotte would be replaced in the line of succession. With this in mind, Princess Charlotte ended the engagement. Meanwhile, the Princess fell in love with Prince Frederick, the King of Prussia’s nephew. One of her lady companions aided Charlotte in arranging several clandestine meetings with Frederick, and she maintained a secret correspondence with the prince until January 15, 1815, when he informed her that he had fallen for another. Frederick returned Charlotte’s gifts and portrait at that time. Incensed by Charlotte’s refusal to marry Orange, George IV removed his daughter’s servants and dismissed her lady’s companions. Confined to Cranbourne Lodge, Charlotte was permitted no visitors except Queen Charlotte. In August 1814, Princess Caroline departed England. Charlotte felt deserted. Her depression became quite evident. Queen Charlotte encouraged a resolution to the separation between her eldest son and his daughter. On Christmas Day 1814, Charlotte turned to her father for affection. During their intimate talks, she provided Prinny with a full accounting of her relationship with Captain Hesse. Charlotte explained how her mother had encouraged Charlotte to write to Hesse. She also spoke of her recent attempts to have Hesse return her letters and of the captain’s refusal to do so. Charlotte confided that she expected Hesse to blackmail her with their correspondence. The Regent promised to assist his daughter with Hesse. Therefore, expecting a restoration of their connection, Charlotte confided in her father what she knew of Princess Caroline’s many lovers. To protect his daughter’s position in Society and in the line of succession, he suggested that Charlotte renew her engagement to Orange, but she stood firm. However, she did agree to a possible joining to Prince Leopold, third son of the Duke of Saxe-Coburg-Saalfeld. It was after Napoleon’s defeat in June 1815 before Leopold could return to England. They married on 2 May 1816. Spoiler: So what does all this have to do with my Austen-inspired inspirational romance, Christmas at Pemberley? Notice that the previous paragraph mentions Christmas Day 1814. Yes, believe it or not, I incorporated Princess Charlotte’s liaison with Hesse into my Christmas tale. How, one might ask, does a writer mix political intrigue with an inspirational romance, a Regency Christmas-theme tale, and a continuation of Jane Austen’s Pride and Prejudice? Not an easy task, but one I hope you will enjoy reading. 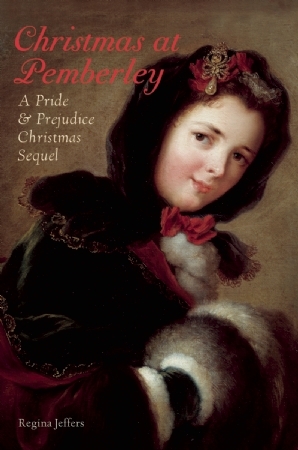 To bring a renewed sense joy to his wife’s countenance, Fitzwilliam Darcy has secretly invited the Bennets and the Bingleys to spend the Christmastide festive days at Pemberley. But as he and Elizabeth journey to their estate to join the gathered families, a blizzard blankets the English countryside. The Darcys find themselves stranded at a small out-of-the-way inn with another couple preparing for the immediate delivery of their first child, while Pemberley is inundated with friends and relations seeking shelter from the storm. This entry was posted in British history, George IV, Great Britain, political stance, real life tales, royalty and tagged Dorothea Jordan, Duke of Clarence, Duke of York, George FitzClarence, George IV, Princess Caroline, Princess Charlotte, royalty, William IV. Bookmark the permalink. I love your latest blog Regina! Thank you for all the great information about manners and upbringing. Will share it on my Facebook page.